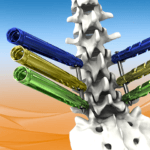 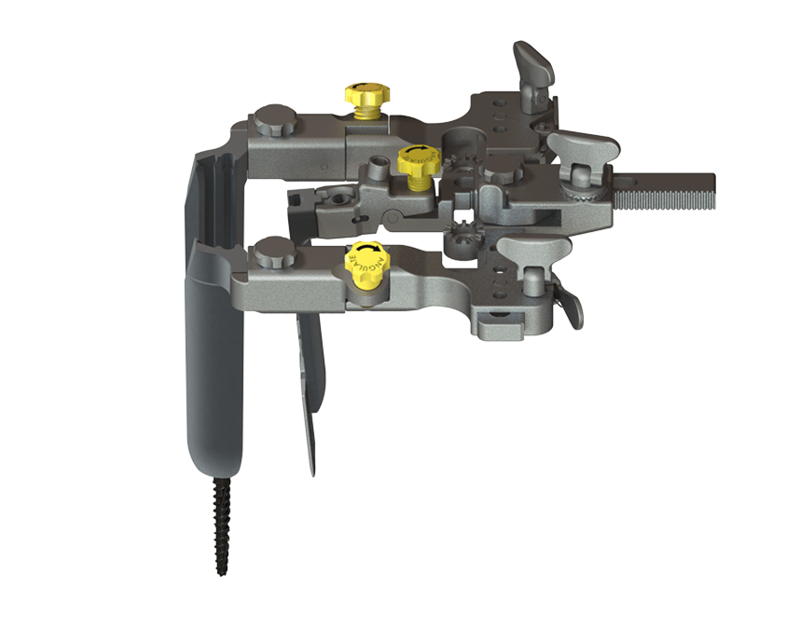 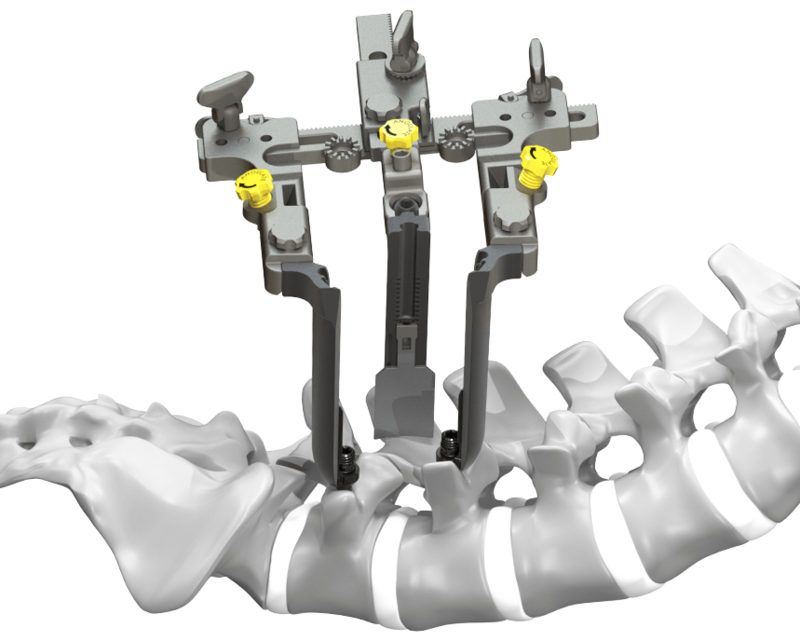 The Centric-T Pedicle-Based Retractor delivers access and vertebral body distraction through a single MIS solution. 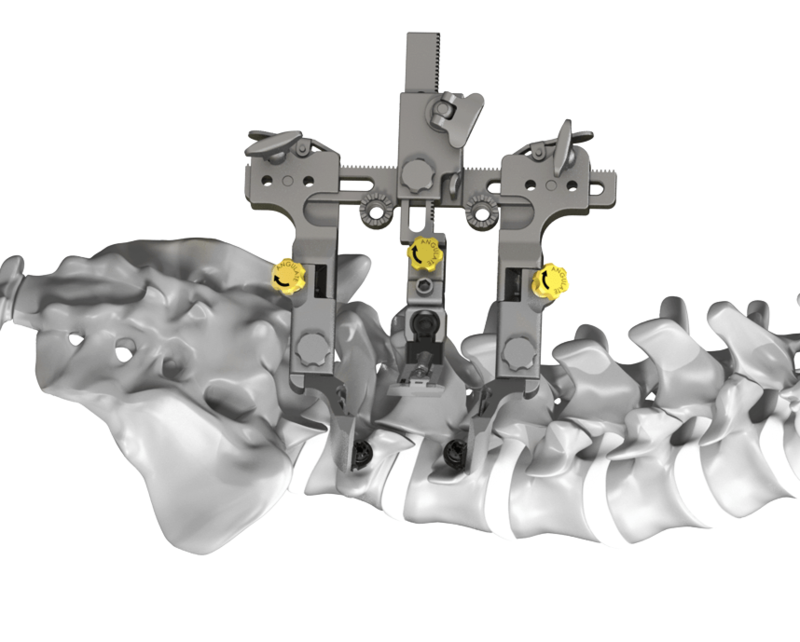 Pedicle-based blade fixation is designed to reduce muscle encroachment during discectomy and interbody placement, while providing unimpeded access to anatomical landmarks. 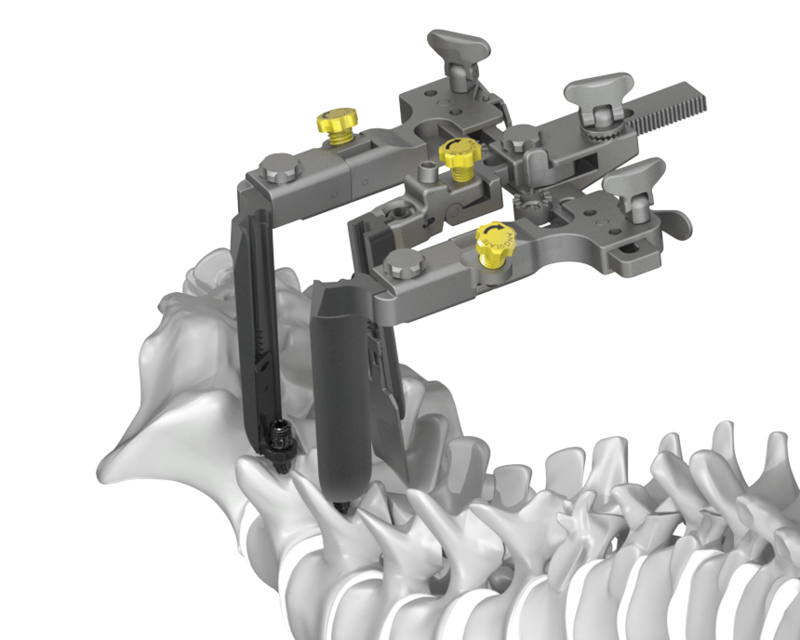 Vertebral distraction can be achieved through blade angulation mechanisms. 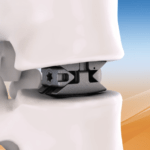 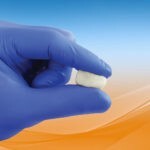 Retraction of the multifidus is achieved through a telescoping medial blade.